RoamFreeNav™ – On/Offline, point-by-point voice navigation. RoamFreeRouting™Engine - Enables simple and economical creation of unique tours and applications. Each multimedia application features easy-to-use, audio-enabled navigation, text, images, audio and video content to create a richer, more dynamic tour. 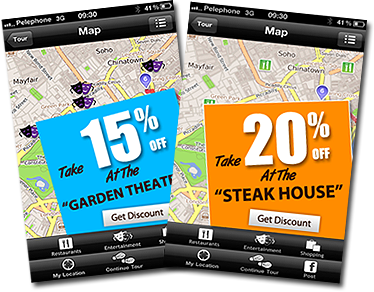 Apps also include information about local businesses, complete with door-to-door navigation, coupons and discounts. 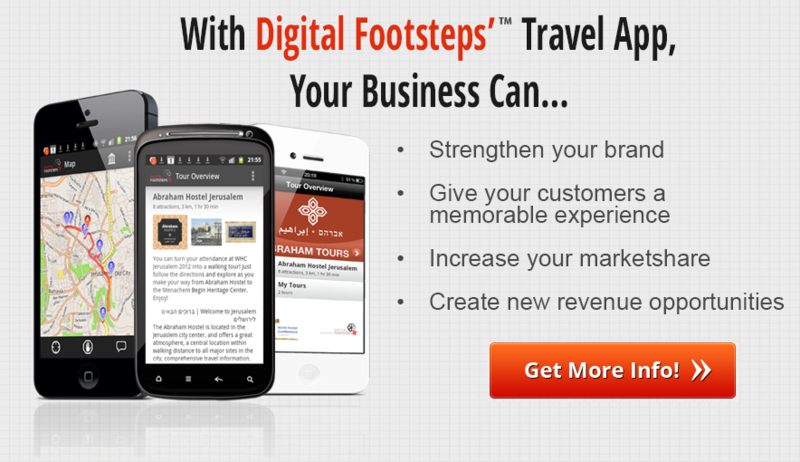 Digital Footsteps’ unique advertising solutions bring customers directly to your door and create new, untapped revenue. 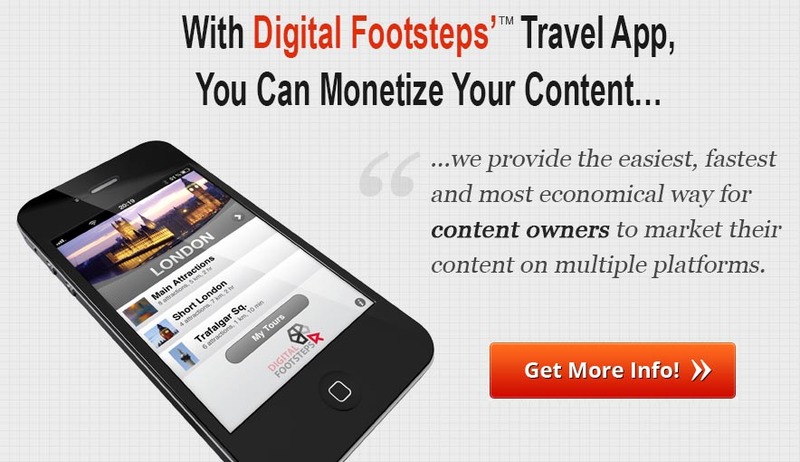 Discover what Digital Footsteps can do for you.